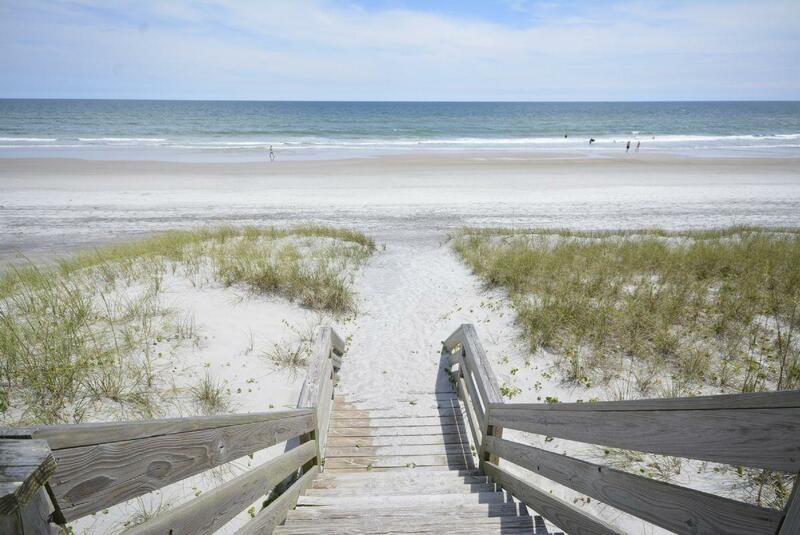 Being a recently renovated three bedroom, two full bathroom cottage, "Beachside Bungalow” is the perfect place to unwind on Topsail Island! Enter through the oceanside deck into the spacious family room with ocean views. A wrap-around couch with additional bench seating gives everyone the perfect spot to relax. Catch up on the forbidden word "work" at the desk located conveniently between the family room and eating area. This sunny space leads into the quaint kitchen. A newly remodeled master bedroom features a queen bed and private bath. The second guest room features a double bed and is located across from the hall bathroom. Twin beds adorn the third guest room at the end of the hall. Need extra space to relax? The sitting room is a perfect place to enjoy some quality time or catch up on those naps that you've been neglecting. A full-size washer and dryer are located in the large storage area underneath. 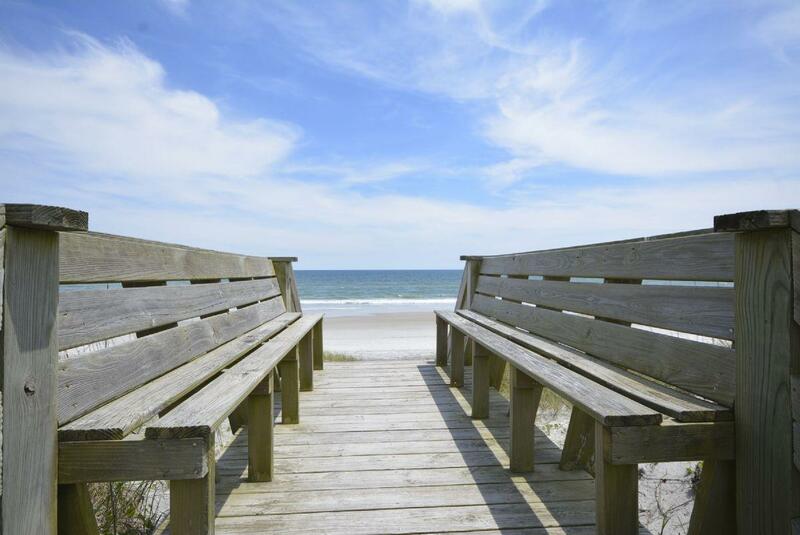 Relax on the oceanside deck and soak up the sun. Private beach access is located directly across the street for "Beachside Bungalow” guests only. After a long day at the beach, wash off in the new hot/cold outdoor shower. Covered parking provided underneath. Find the time to get lost in the moment at the quaint island getaway that is "Beachside Bungalow!" How far is the beach assess from this cottage? 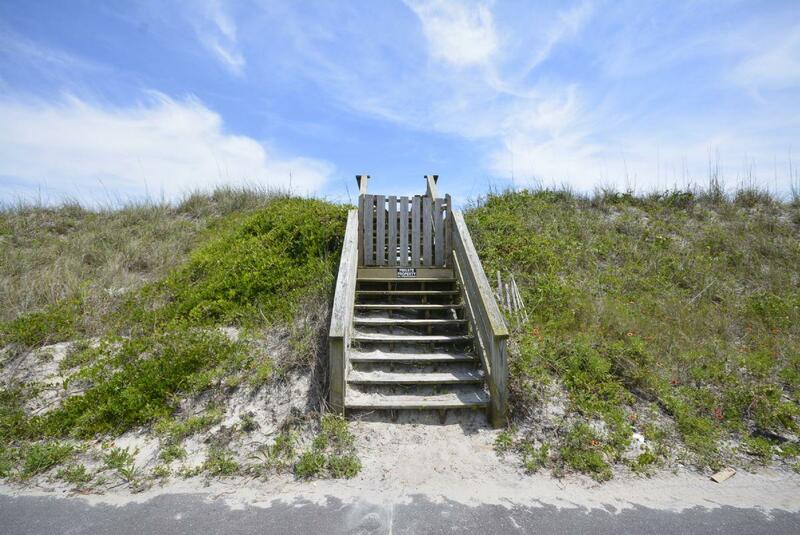 The private beach access is just a few steps from the cottage. No. There are not any beach umbrellas at this time.